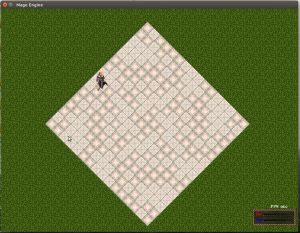 The current map system in Mage Duels is a Unity3d Terrain. This is great for making beautiful expansive 3d terrains. Unfortunately it is not a skill set I possess, and it is a bit of overkill for what I am looking for. As a result, I have been looking at time map systems. I found some tutorials recently on how to build a procedural tile maps, or tile map editors. Right now the plan is to create a procedural arena generator. I had limited success with this when the project was being built in C++. I am hoping that I can port part of this code over to Unity3d. Previous PostDown, but not out…Next PostNew team members!